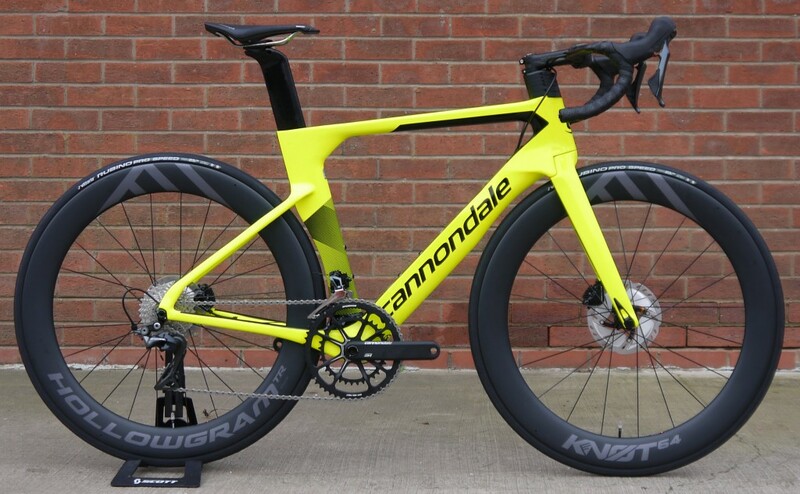 When the Cannondale SystemSix was launched late last year it ended a long run of speculation about when, and in what form, Cannondale would step into the world of aero bikes. 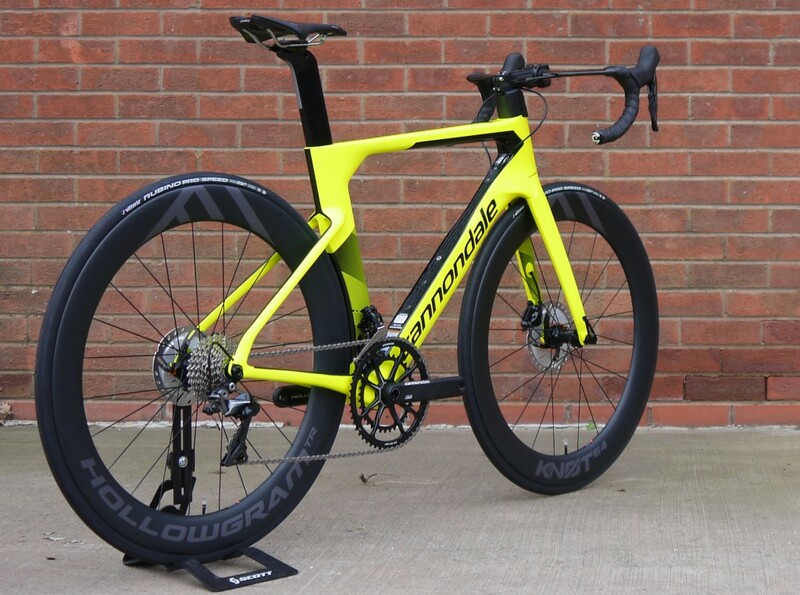 They definitely entered the market with a bang, producing the lowest-drag, most efficient, all-around fastest UCI-legal road bike on the market. Historically aero bikes are good at one thing; they’re fast on the flat, but heavy on the climbs. According to Cannondale the SystemSix isn’t limited by such restrictions, and now we’ve had the chance to test this out for ourselves we would have to agree. It’s a bike that’s been designed to be ridden, and ridden fast, across every parcour. GO FASTER. 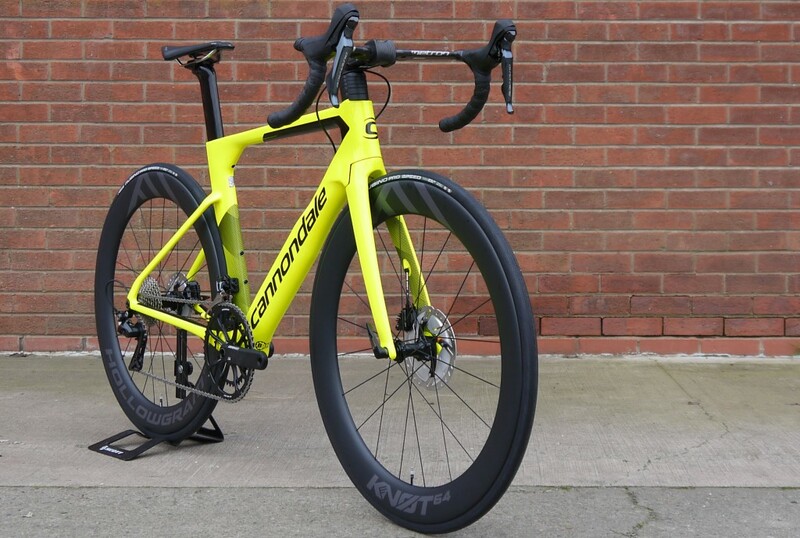 EASIER – SystemSix produces the least aerodynamic drag of any road bike on the market. Since the bike represents about 30% of a rider’s total drag, that translates into less effort for any rider, at any speed. FASTER ON CLIMBS – The SystemSix’s aero advantage make it faster than lightweight climbing bikes on any climb up to a 6% gradient or more, depending on rider’s power to weight. To put that in perspective, the most revered HC climbs in the Tour only average 7-8%. FASTER ON DESCENTS – Dropping down a 5% grade, a rider on a traditional lightweight bike would need to put out over 300 watts just to keep up with a rider spinning at a recovery effort on a SystemSix. FASTER ON THE FLATS – At 48km/h (30mph), SystemSix saves you over 50 watts – huge savings considering a strong amateur racer’s Functional Threshold Power is around 300-350 watts. And even when drafting, you’re still getting up to 60% of that benefit. FASTER IN THE SPRINTS – In a 200m sprint with riders putting out a 1000 watt effort, the SystemSix rider would be four bike lengths ahead at the line. EASIER WHEN CRUISING – Even at a mellow group ride pace, SystemSix requires about 10% less power to maintain speed, leaving you with more in the tank when it’s time to throw down. Maximum aerodynamics, maximum value: As we bring new brands and new bikes into the store we always look for how to build the best bike possible at the lowest cost for the customer. It’s rare that a brand will offer you double the upgrade for your money, but the SystemSix pictured above does just this. With the Carbon Dura Ace model comes an exceptional groupset, but it also boasts one of the fastest wheelsets on the planet…all for less than the retail cost of the just the wheels compared with the Ultegra model. Available in a choice fluo yellow (aka Volt) and Stealth Grey. Conceived as the first component of the SystemSix design, the new Knot64 wheelset is an engineering feat in itself. Designed to eliminate the drag penalty usually associated with running bigger tyres, these wheels manage to combine comfort, low rolling resistance and superior grip into a blisteringly fast pair of wheels.